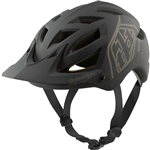 Troy Lee Designs Helmets designed specifically for Bicycle Racing, Mountain Bike, Downhill, BMX, Snowboarding, Boarder-X, and other Extreme Bike Sports. The D2 and D3 Helmets by Troy Lee Designs feature Formula One - like aerodynamics and ingenious technical features putting them among the most advanced helmets in all of bicycle racing. Engineered for the different disciplines of Bicycle Racing, Mountain Bike, Downhill, BMX, Snowboarding, Boarder-X, and other Extreme Bike Sports. Buy Now and Save. Fast Worldwide Shipping - FREE Shipping in the USA.